Dryer sheets are handy, useful little things, but nobody can pretend that they’re eco-friendly. For one thing, you can only use them once, plus they’re packed with chemicals. And let’s face it, drying clothes isn’t the greenest household activity either, but there are ways to dry your clothes in a greener manner. 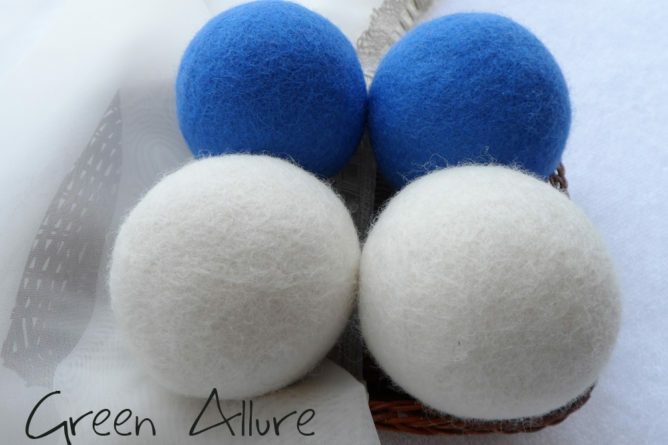 Allure Wool came up with a better option: dryer balls. These dryer balls are handmade and made of natural merino wool. Even their coloring’s chemical-free. Best of all, you can use them numerous times, and you’re going to want to do that, because they help dry clothes faster, make clothes softer, and prevent static cling. They’re also good for people who have allergies; I’m pretty sensitive to the sharp scents of fabric softeners, so these dryer balls would be great to have. You can check out their website for more information or visit Allure Wool’s Facebook page. Set it at the minimum temperature and amount of time you think the clothes will need. Following these tips can also reduce your energy expenditure and carbon footprint, while saving you some money on electric bills.